People who do not understand meditation should not be "leading" you on one. Meditations should help keep you close to or in the alpha level where you can reach a deeper you. They "talked" you into a deep level and then just as you got there, they burst out laughing at something, totally jarring you out of the meditation. Then, after laughing for awhile, they got back to the meditation - too late as the meditation was ruined, but as I meditate daily, I was able to get myself back into a meditative state relatively quickly. Then, they never ended the meditation. At the end, they just said something about making sure to attend the call later that day and ended the call. 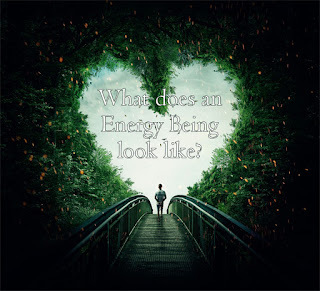 It begs the question - These self-proclaimed intuitives ~ if they don't even know how to lead you on a mediation, do they know how to lead you to better energy? It makes me think of all the new gurus that have suddenly appeared everywhere now that people from the Secret are making money like crazy. There are tons of them - making movies and having teleseminars. But, I look at their charge for their services - are they in this to help others? Or to rip them off? For 1 year of coaching with Bob Proctor, the cost is $7000. That may sound expensive, but for what you get, its cheap! Then, take into affect Bob Doyle's Wealth Beyond Reason Coaching, which is about $7000 for 6 months. Compared to the year, that sounds like alot, but in Bob Proctor's program it is group coaching, whilc in Bob Doyle's program it is one-on-one coaching, so the price is still acceptable - plus, Bob Doyle's Wealth Beyond Reason program is quite inexpensive at only $347! The 40 Day 40 Night program is just under $7000. They even say the program is worth over $66,000. Now, you can say a program is worth anything you want it to - but $66,000? For 40 days? It sounds like a bit of a stretch to me, but I figure if something works for you, it is worth the price you pay for it. So, I didn't think much about it until I heard this meditation, which they offered for free to people like me who hadn't signed up for their program. After listening to this meditation - what were they thinking? Maybe they haven't listened to the recordings of their meditations, maybe they are just unaware of how this makes them look - but then again, they say they are intuitive, so shouldn't they know?